We all saw the whole Ryan Fitzpatrick and James Conner value plays, right?! What an opening week to the 2018 NFL season! The Saints probably wanted to rage-quit midway through the game — and so did a lot of people who chose them in their Survivor leagues. Alvin Kamara; thank you for all that you’ve done for the NFL so far and how much you’re going to do as one of the highest priced RB studs every week. 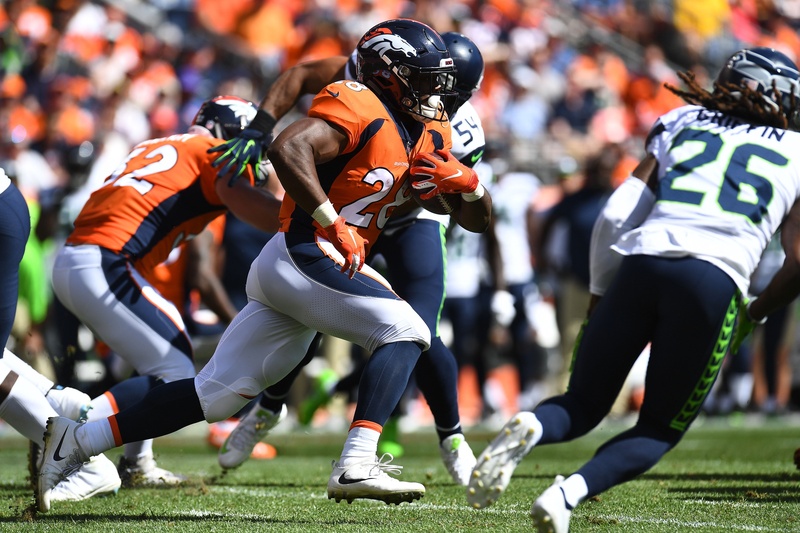 It’s no secret running backs are the most important position to get “right” week-to-week in fantasy football, and I’m here to help you anchor your studs and mine for value. Below are my running back touches and target projections for Week 2. 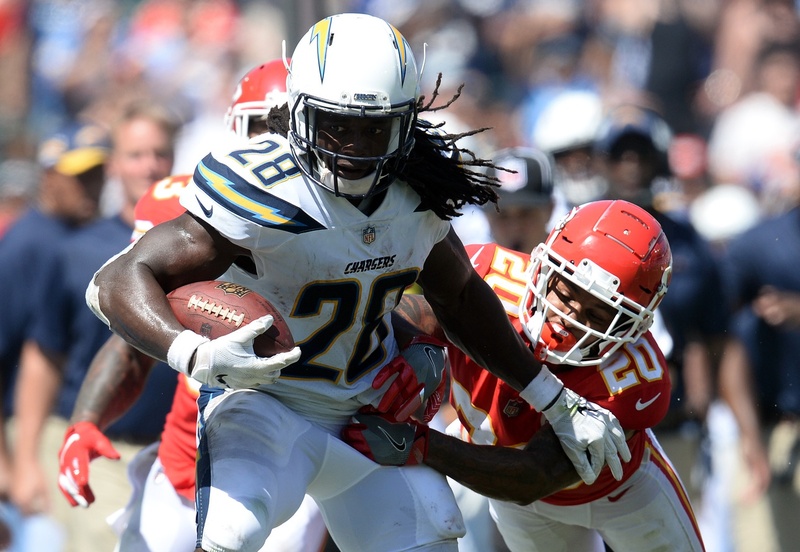 Melvin Gordon, LAC at BUF, $7,400 — Coach Anthony Lynn regretted not giving more pass opportunities to Gordon when asked about his first season at the helm of the Chargers. I’m paraphrasing, of course, but Gordon should eclipse his 58 catches from last season if he keeps getting 13 targets like he did in Week 1! Buffalo allowed the sixth-most DraftKings points to a Ravens backfield that ranked outside the top 10 last season with essentially the same backfield. The Chargers’ RBs are far more superior, and Gordon’s 24 touches out of a possible 36 is trending to a high-producing RB1. 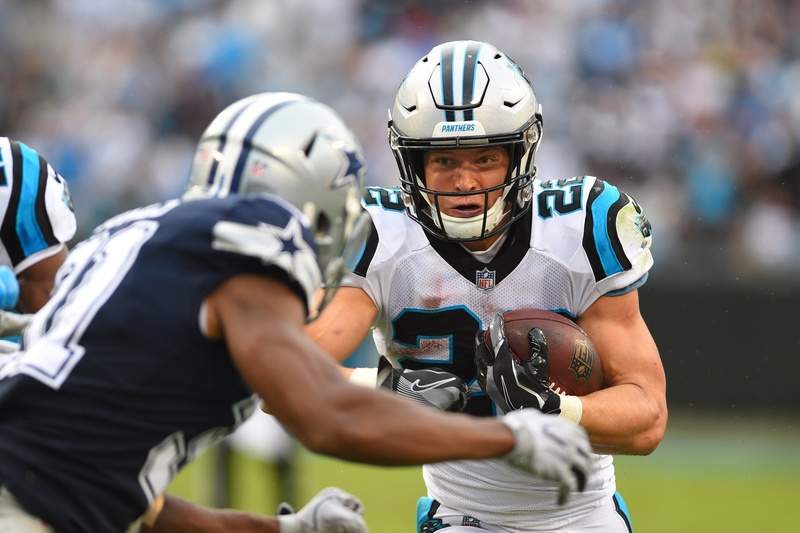 Christian McCaffrey, CAR at ATL, $7,000 — You might see CMC as the highest owned RB in this range and rightfully so — he saw 16 of the 24 total RB touches last week, which puts him in RB1 range right off the bat. It’s no secret the focal point of the Panthers’ offense is going to funnel through the backfield (sans C.J. Anderson), and look for it again to yield positive results this week in Atlanta, especially with Greg Olsen (foot) done for the next 2-3 months. Atlanta’s defense took a hit Thursday, losing All-Pro safety Keanu Neal for the season as well as its best cover linebacker, Deion Jones, who was put on IR. This leaves third-year OLB De’vondre Campbell — or some combination of LBs/nickel CBs — in charge of covering McCaffrey out of the backfield. Any way we slice it, CMC is a mismatch. In for 85 percent of the snaps and virtually all of the RB targets, McCaffrey will be in for a big game against a banged up Falcons defense that gave up two rushing TDs to Eagles RB Jay Ajayi and a total line of 27 attempts and 127 yards. Dalvin Cook, MIN at GB, $6,500 — This is what we were all hoping for: Dalvin Cook ALL DAY. Last week, I was pensive in trusting him at $6,200 and thought he was going to be on a snap count, but nay — he saw 66 percent of the RB touches against a porous San Francisco run defense. 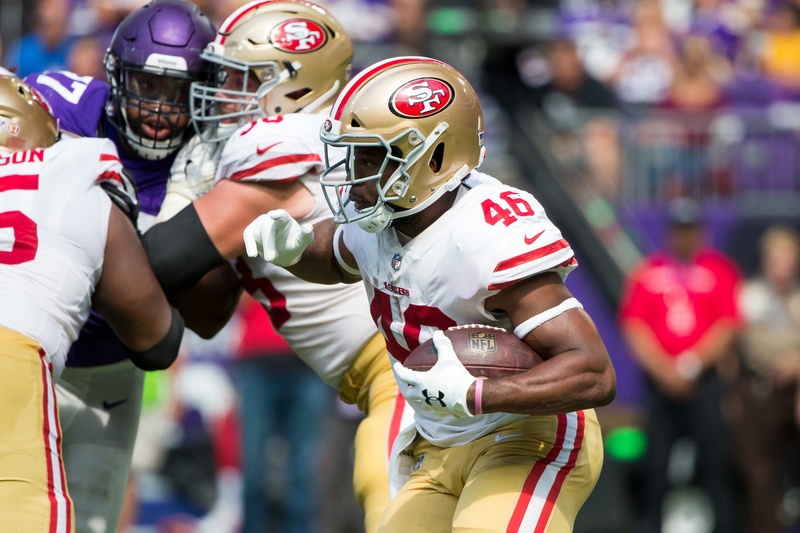 The Vikings’ defense looked really good, only allowing 15.5 DKFP to the 49ers’ backfield, which also benefited Cook’s production. 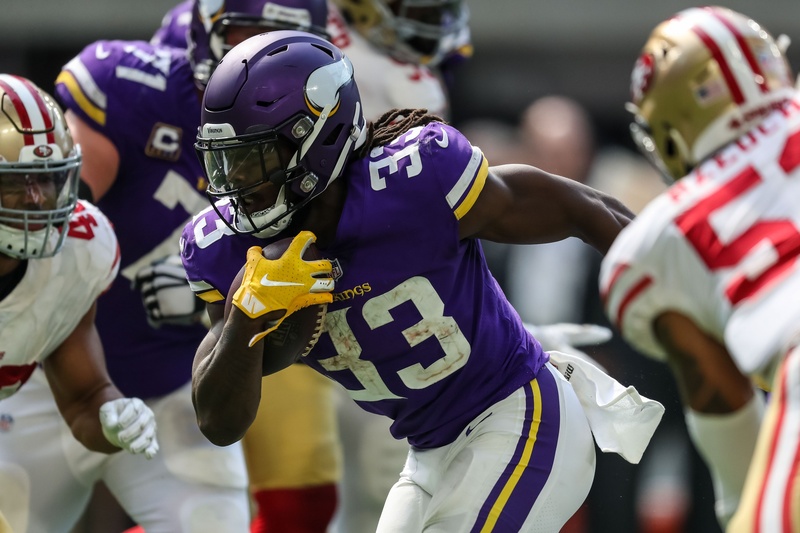 Cook’s 22 total touches were OK, but what is really appealing is backup Latavius Murray’s measly 33 percent of RB touches in a game Minnesota ran the ball 32 times — ninth most in Week 1. Cook also saw seven targets in the passing game. It’s still early, but the signs are pointing up for Cook’s future. Minnesota will face a depleted Green Bay defense along with a one-legged stud in Aaron Rodgers. One of my favorite games on the slate, look for Cook to improve and solidify what we saw in his four games as an RB1 last season. Kareem Hunt, KC at PIT, $6,200 — My how the mighty have fallen. Hunt’s $6,900 price tag last week did not return value, only obtaining a paltry 49 yards on 16 attempts. He saw 71 percent of the snaps, though, leading the backfield, so that’s good, I guess. What’s even more disappointing was his one (!!!) target. Anthony Sherman saw the same amount of targets and converted it into a reception and a 36-yard touchdown. 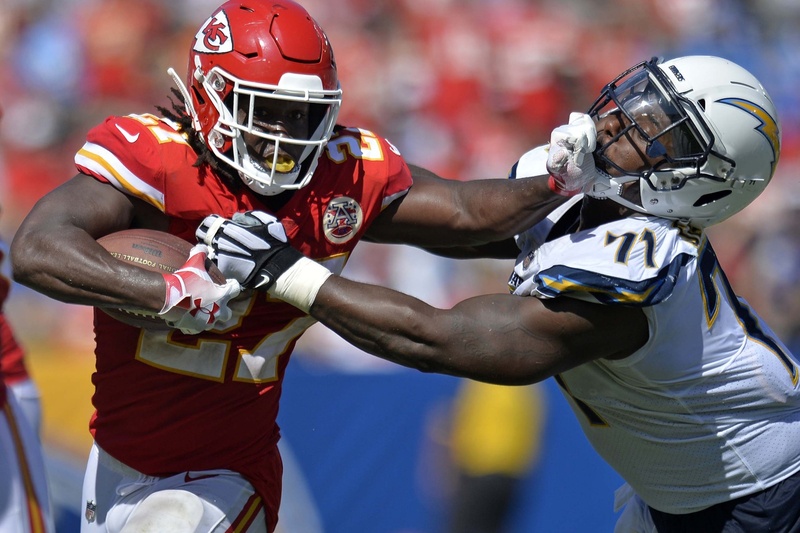 Spencer Ware saw 16 percent of snaps, which included some third-down work as well as in the two-minute drill — not surprising in an Andy Reid offense. Look, if I can add Sherman, Ware, and Hunt all in the same sentence and it’s not about a preseason depth chart, it gives me pause and heart palpitations for Hunt’s future production. Looking like a trend, the early signs point to Hunt not being where he should be with his pass-blocking and losing time to a healthy Ware. This offense looks like it can produce with or without the success of Hunt (good for real-life football, not so good for DFS). Hunt is still a low-end RB1. I’ll be interested if his price goes below $6,000 in the coming weeks. T.J Yeldon, JAX v. NE, $5,600 — RB1 volume and opportunity automatically put Yeldon in this section IF Leonard Fournette (hamstring) doesn’t play — so check his status throughout the week. Yeldon looks to be chalk in this range, but he’s shown he can carry the load if Fournette misses time. 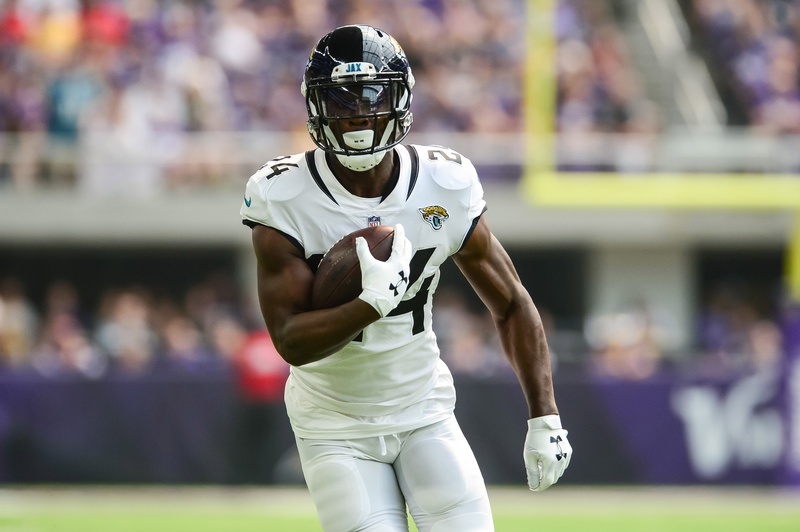 Yeldon saw 60 percent of the snaps last week to Corey Grant’s 30 percent. Jacksonville ran the ball 49 percent of the time last year, and we’ll see much of the same this week against a Patriots defense void of any rush defense. New England allowed 134 rushing yards (fifth-most) and 23.7 DK points (19th-most) to Houston RBs last week. Jacksonville’s strategy is to hide quarterback Blake Bortles, trust the defense and run the ball. The Pats might scheme to take away the running game, which could give Bortles some potential upside, but we still will see this backfield produce. Rex Burkhead, NE at JAX, $4,400 — It could be James White ($4,500) in this spot as well, but I’ll take the $100 savings where I can get it so I can roster Kamara everyday and twice on Sunday. Burkhead’s pedestrian 64 yards rushing, three targets and one reception for five yards is not going to attract much ownership, especially with White being priced right by him. 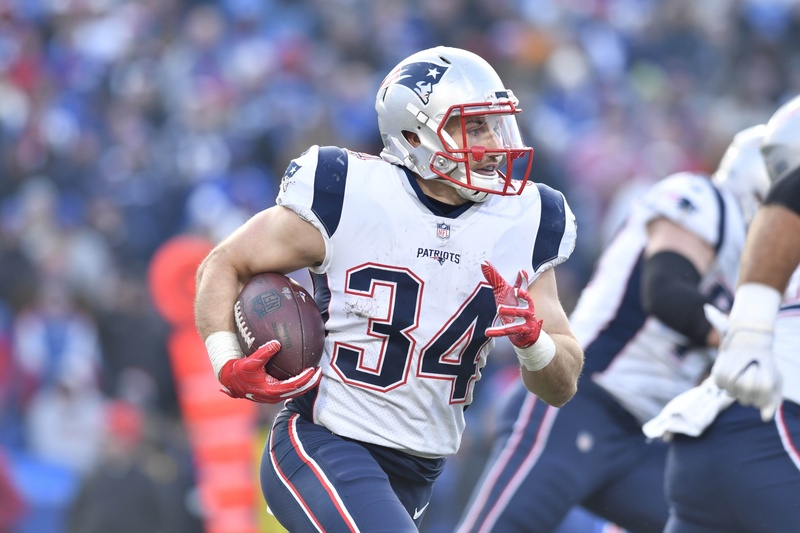 You’re taking a risk with rostering a New England back, especially when Burkhead played on only 49.3 percent of snaps (White 48 percent). Sony Michel ($4,100; knee) might also be activated, but the Pats might practice some caution with the rookie against this stout Jacksonville defense. The Jags should do better than allowing 5.38 YPC last week, but if Burkhead can get more red zone opportunities and the points can switch from White (15.6) to Burkhead (7.6), he’ll return good value. Royce Freeman, DEN v. OAK, $4,300 — We’re not quite what we expected from the Denver backfield. Phillip Lindsay ($4,400) stole the show in Week 1 with 17 touches, 102 total yards and a receiving touchdown, providing 6x value on his $3,000 price tag. Now he’s up to $4,400 — a 46 percent increase I’m not willing to pay. Having said that, I will however pay the discounted price for Freeman in Week 2 — even if it’s only $200 lower. Freeman didn’t have his best debut, but he still went for 15 carries and 71 yards on 39.1 percent of the offenses snaps — the most of the RB trio. Although the RBBC scares me a little, he’s in a prime bounce-back spot at home against a Raiders team whose hottest news right now is re-signing Martavis Bryant after cutting him only 10 days ago. Yikes. Alfred Morris, SF v. DET, $3,600 — Matt Breida ($4,800) is good — better than good, even. Not Jerick McKinnon good, but he has the abilities Kyle Shanahan wants in his running back(s). Having said that, he’s not good value this week, especially if I can get more bang for my buck at over $1,000 cheaper. This is one for the Frank Gore fans and Adam Vinatieri admirers: Give me Morris against a Detroit defense that got embarrassed Monday night, giving up 177 yards on 28 attempts to Isiah Crowell and Bilal Powell. Detroit does not want to get embarrassed twice in a row, but neither does San Francisco — especially not at home. Morris out-snapped Breida 34-30 last week but got game-scripted out when the 49ers went down early. Morris fumbled on a goal-to-goal situation as well, but he’ll get more opportunities and earned Shanahan’s back when they were together in Washington. Morris will get volume in games scripts where the 49ers are leading, and they should be up early and often against the Lions — maybe even due to a Morris TD. Take the savings and the value with ol’ Alf Morris.